Neo-Elves wander the trans-galactic interspace as roving bands, each consisting of several extended families. Few Neo-Elves form permanent settlements, although particularly large groups, such as the Ashkaezar or the Shirvaan, will often remain in a single system for decades at a time as they carefully gather resources and shape the local interspace to their liking. The exception are the Enelvar, who reside permanently in the vicinity of the Qualondes Complex and have transformed the nearby systems into a massive work of transdimensional art. The Neo-Elf Assassination Society is notorious for its elegant efficiency, as well as its thoroughness in obtaining permits and treaties to keep its members technically law-abiding. However, a few rogue factions of the Assassination Society worry less about legality than they do high-profile targets for high-credit payouts. 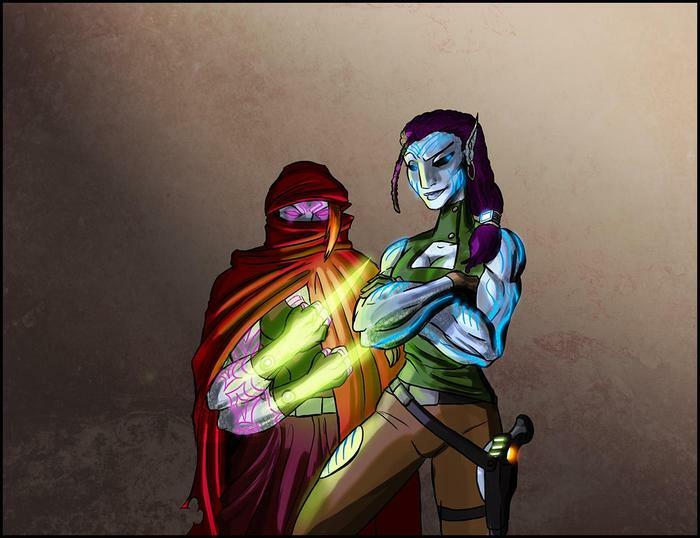 The tank-sisters Moravi and Zairichi dance the line between being too dangerous to employ and too good to not. Boasting a perfect record and one of the stealthiest ships in known space, the Sisters of Silence earn their name well. Except, of course, when Moravi opens her boisterous mouth to extol their virtues. Zairichi has never been heard to utter a sound, but Moravi more than makes up for her sister's presumed muteness. She is often derided in the Assassination Society for being the loudest damn assassin in the galaxy, but her track record speaks almost as loudly as she does. Their ship, Tharendim, incorporates singular stealth modifications fashioned by the Sisters of Silence themselves. 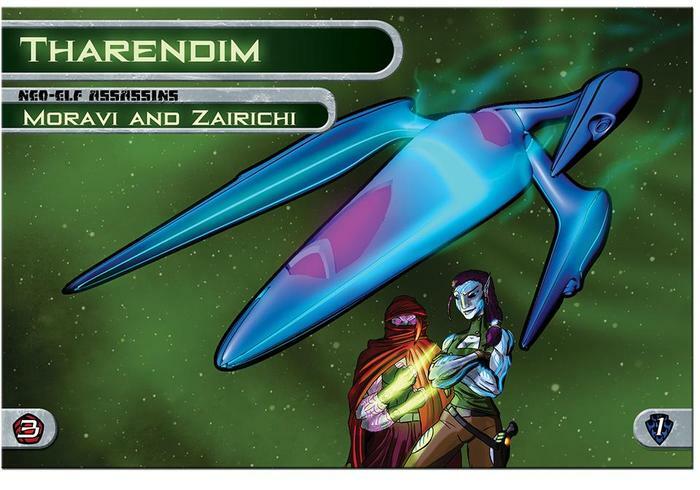 Its ability to fly within meters of another ship undetected can put Zairichi into teleportation range of vital systems and personnel, or allow Moravi to execute a precision strike. In either case, Tharendim certainly earns its Neo-Elven name: the final sound of a soul fleeing its body in death.